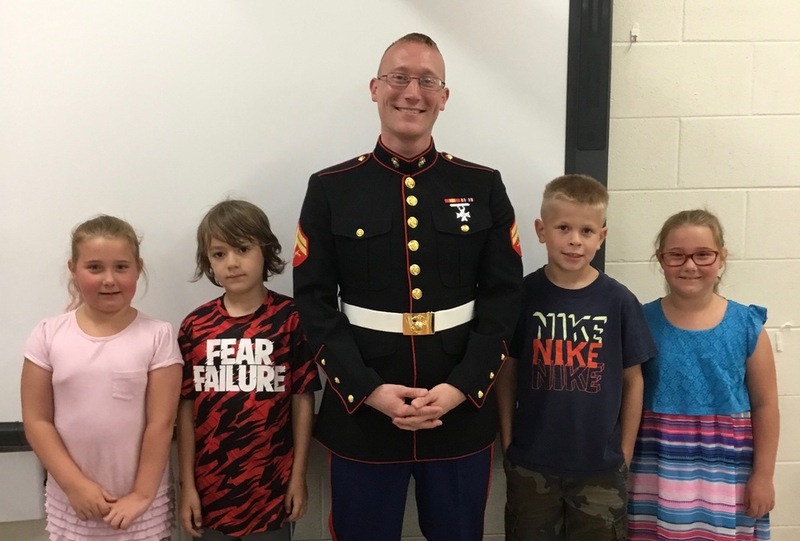 Second graders had an extra special visitor in the classroom....former Unity Student and Marine Corporal Nick Peterson! They have been writing letters to Corporal Peterson for the past two years. He is currently stationed at Parris Island in South Carolina. We are so glad he was able to visit!